Home » SEO blog » WordPress » Video SEO just became a lot easier! Video SEO just became a lot easier! The Video SEO plugin I have been talking about for far too long has finally been finished and released. The short version is, it’s for sale for $89, find out more here. Keep on reading for a bit of backstory. Video SEO is probably one of the most technically challenging aspects of SEO. There are several ways to make it known to Google that a certain page contains a video, ranging from Facebook share markup, Schema.org videoObject markup, MediaRSS enhancements to feeds to XML Video sitemaps. This plugin supports all four of those methods. It’s a lot of work to get all this working seamlessly, but I think I’ve nailed it all. I wanted to make it as simple as putting a video in a post and then having the plugin do all the needed work. I succeeded. If you now use oEmbed to embed a video from say, Vimeo, into your blog, just by copy/pasting the URL onto a single line in your editor, and hit update, you’ll see that the Video SEO plugin grabs all the needed metadata from the Vimeo API and does all the legwork needed to make your video’s rank. It doesn’t just do that for Vimeo video’s, it works with a lot of platforms, including YouTube. How it does the YouTube thing is a question some of the more experienced SEO’s will ask. I leave that as an exercise to the reader. Check my video-sitemap.xml and see if you can find it. Whether that’ll keep working? I don’t know. Of course, the video SEO plugin is based on and uses large parts of my WordPress SEO plugin, and therefore needs that to run. This will really allow you to take any site with video to the next level though. I’m very proud of it and hope that those of you running video sites will see the benefits and buy it. Now I know some people don’t like that it’s a paid plugin. I can even understand that to a certain extent. Please just realize that it’s impossible to build a plugin like this and support it, without being paid for those efforts. It takes a lot of work, almost 1.5 years of thinking and learning has gone into making this plugin as good as it is, and it’ll probably require very regular updates to keep in line with all the supported video platforms. To be able to do that, I have to charge for the plugin. Also, it will support the continued development of the core SEO plugin. I hope, and fully expect it to work out well for everyone involved. I’d love to hear your thoughts and, I’ll be honest, I’d love even more to see you buy the plugin! 163 Responses to Video SEO just became a lot easier! I buyed the plugin and installed it directly. Now i have a big problem, i use JWplayer for my own hosted content and video’s but in the dashboard the plugin said that it indexed every video and when i lookup in the XML it is all blank: http://www.soepvork.nl/video-sitemap.xml also my theme is completely messed up by the plugin, look at the videos that are indexed by the plugin: http://www.soepvork.nl/iemand-een-taxi-nodig/ Joost, do you have a explanation for this bug? please respond to the purchase email you got, those go straight to my inbox, looks like you need the new version, it’s almost done so we might be able to test it on your site. Thinking about grabbing a copy for one of my clients sites. Do you offer a developer license, or can I use this on all of my clients sites for that $89? In terms of video hosting, I know you mentioned numerous times that YouTube is supported. However, based upon the tone, I’m assuming that this is not the best option, is it? I was recommending to a client that they use Vimeo for website hosted videos, but they were concerned that Google may favor YouTube videos over those hosted on Vimeo. Based upon your research and the way you designed this plugin, would you recommend your users to go the Vimeo or YouTube route? We were using http://www.tubemogul.com for mass video distribution. Is your tool planning on doing that as well ? This looks to be an awesome plugin…. can’t wait to try. Do you recommend Vimeo over Youtube for your plugin? I noticed at approximately the same time as I installed and activated the video SEO plugin my feedburner feed stopped working. I can’t say for sure that that the video SEO plugin caused this but that’s the only thing that changed really. Has anyone else reported any similar issues? Having issues trying to connect to the host to download the updated version 1.3 – anyone else having issues? download link isn’t working, sent you an Sept 30th. Can’t find the plugin in the repository. Hi Brent, sorry! Missed that one, just replied! Aloha Joost, thanks so much for the follow up. Fantastic work! And it seems you’ve managed to work seemlesly, and make it user friendly at the same time. Don’t mean to bother you again, but I just added another post to my blog. I entered the URL of the video on Youtube and was hoping that the oEmbed method would work. In the SEO box however, underneath the post, I don’t see the Video option. I have tried everything. Even forced re-indexing with the 1.2.1 update doesn’t help. Can you help? Sure! Please email me the URL of the video you’re using to oEmbed. I generated the video sitemap after posting and as you can see, this post is not included. can this work for all my clients video or just only my video because i will love to try it. Slightly off topic – the sitemap link at the bottom of your page points to the current url; is this a bug in your new theme (which looks very nice!)? We are using Wystia based on your previous recommendation. Should we use both for SEO? Whoops! I didn’t know that Wystia is not a supported post type. I discovered that after I bought it. Could you write a patch for Wystia please? How Do I rectify this? Almost all the articles published on my blog are now having that video thumbnail whenever I Google it. Will this stop the plugin from working as it should? Does the plugin leave any footprint if I use it on several websites? Can anyone find out through the plugin on which sites a single user is using it? No. You can see from the outside that you’re using my plugin, but not who you are. I have followed the instructions from your plugin and I can’t make it work. When I create the sitemap-video.xml the next message shows up : “Found 636 posts to search through” but my sitemap-video.xml isn’t up to date. When I try to post a video on my thread, I can’t see any preview and any meta tags. I’ll show you an example : ” The same vimeo video that you show as example in your plugin instructions. I can’t understand what I need to embed videos correctly. Do I need a pro Vimeo, Dailymotion or other servers account? Isn’t enought if I past the link there, or the iframe? I would like to know what I’m doing wrong because I have spent some money and can’t make it work. Email me the examples, they’re not coming through right here. Just respond to your purchase email! After reindexation, click video SEO in the menu again. Is the sitemap blank? Or does it throw a 404? I bought the plugin. I have close to 2000 videos. All went fine, and suddenly, http://hombrelobo.com/video-sitemap.xml didn’t show anything …. By the way, it works fine with all my youtube videos, not with my blip videos. That’s fine with me, though. But I need help with the sitemap … any ideas ? I just purchased your video SEO this morning. I absolutely love it. It’s works nicely with Traffic Player plugin that I use. It has problems with videos I posted using Weaver II pro template short code. My SEO info is still a little weak, I’m sure I’ll be tweaking it for awhile, but I am absolutely loving this Video SEO plugin. Here is the site map it’s generating for my website so far. I updated the plugin last night. 10/1/2012. It’s not generating the XML file anymore. I tried “Force reindex of already indexed video’s.” I tried reposting a page with a video. Still nothing. Any others out there with this problem? Same problem, I use Vimeo Pro and weaver shortcode. I am not sure if he is saying we need to write it out as http:;//vimeo.com/movie_id here or what. if you figure it out, I will purchase. It’s a bit expensive to have it not work. I write a post like the post you show in the tutorial, also using the same video. Preview is not working, there are not changes in the sitemap-video.xml and I cant see in the post source code meta-tags like og:video. I have a Vimeo Pro account and for some reason I’m not seeing video thumbnails in the snippet preview and there are no videos in my sitemap. However, when I change the video link to a randomly selected Vimeo video, everything works great. Is it possible that my Vimeo Pro security settings are interfering with the plugin? Also, most of my video links are stored in custom fields. I use wp_oembed_get() to position and display the videos in my templates. Any chance I can tell the plugin which field to look at when building the site map? the security settings could indeed be in the way, I’m working on adding oAuth support for Vimeo to the plugin, so you could use it with secure videos too. This has some other implications too though, such as only wanting to show the XML sitemap to Google as otherwise everyone could just download the video from there, which sorta negates the security settings. As for the custom field: you store just the URL to the video in the custom field? If that’s the case I could add an option for that. Yes, I store only the URL in a custom field then use oEmbed in a function I use to position the video in my templates. Also, your comments about YT’s hack failing some day is worrying me. I know you don’t like to recommend, but is switching to Vimeo or Videopress recommended? will that work? Otherwise I will need to use the embed code in all the posts. Just trying to clarify. Currently I have submitted 50 videos and google has only indexed 8. So I am looking forward to something more. thanks! anyway to pay without using paypal? directly with a credit card? Not yet, hoping to arrange for that soon. Does it work for hosted videos on your own site? This is excellent news and just the tool I have been waiting for. Got a new site coming up although in HTML hand coded to started whilst I get the idea theme developed. Will be purchasing this asap. Q? – I do not intend to use till November/December, but intend to purchase now from this years budget. Can I take it that future updates and fixes are included? Quick Q, what about if the page has both content (400 words) and a video. Will it only be indexed as either a video or a content page, can you choose which, or would it appear in both? Is the answer to the above directed in the sitemap and could you also specify different keywords for the video results and normal page SEO? Best $us 89 dolars ever spent in our site. Great plugin, great support and great SERP outcomes…. Love your blog and plugins – I’m wondering if this is even a needed plugin, what kind of “increase” in traffic/rank should I see? Thanks so much again, really enjoy reading your thoughts! Could you please answer what would happen if the YT hack stopped working please? Would this meaning losing my schema.org data too? Thanks in advance. Nothing would “break” or anything, your result would just not show up as a video result but as a normal result, so if you’d still want video results, you’d have to switch video hosts. In Phil Nottingham’s article on Distilled [http://www.distilled.net/blog/video/getting-video-results-in-google/], he says ..”Do not use YouTube or a standard Vimeo account for your hosting, as the youtube.com or vimeo.com domains will rank for your videos, rather than your own domain.” However, your videos show the src as YouTube so is he wrong? Sorry that I had to post this question here because you did not reply my email after sending twice. I purchased the plugin, able to download the plugin file but not the installation & usage instructions PDF file. Can you get back to me on how I can get the PDF file? Hmm your emails are going to spam, sorry about that. Resending the purchase email, the PDF link in the new one should work. Have you resent the purchase email? Just checked my inbox and also my junk folder, nothing from you. Just resent it again, could you check? Also emailing you separately. I don’t see Stickam on the list. Any plans to add it? If they have an API I could, but I can’t really find info about that on their site. Do you have a paid account with them? All future posts will be self-hosted and embedded with the PowerPress shortcode. (See this post for an example: http://www.swoopsworld.com/2012/justin-soileau-on-swoops-world-primetime/). I understand your plugin works with self-hosted video, does it work with the PowerPress shortcode? I’ve used a few Video SEO plugins, most notably the one by labnol, and I remember when I first downloaded your WordPress SEO plugin, and you mentioned working on the Video SEO part and that it would be a paid plugin, I’m happy to see that its here. Making good work with your Video SEO plugin. Can you tell me what is wrong? The video is playing correctly on YT and on my blog via oEmbed, but it is not showing up correctly on the Video sitemap. Do you think you will add video host wistia.com to the list? Sorry. Just noticed someone else had same question, and you answered this above. I know the iframe from vimeo can be used for embedding videos, aside from this, is there a shortcode plugin that you recommend? I use wordpress for my webshop i use magento for the shop and i use video’s mainly on my blog. It http://www.nameofshop.nl/blog/ … the video’s Is this plugin also usefull for me? We have started using Wistia.com for our video hosting. I didn’t see it on the list. Any plans? Yes, definitely have it on the list, might take a few weeks but it’ll most definitely get in there. One of my blogs consists almost entirely of YouTube videos. Can you explain exactly what would happen if the YT hack stops working? Would it mean all my videos get de-indexed? Would I also lose the Schema.org/object/mrss data attached to the videos too? Would the video map become completely useless? Thanks Joost, great topic.I am not sure if it does work with youtube. My theme doesn’t support video pages out of the box. What do you recommend for this so that I can buy your awesome plugin? Are there other plugins that can help me facilitate video pages? any page will do really, not really that much needed. Just use a page and embed the movie in any of the supported methods. You probably don’t need to update them? Just hit re-index and it’ll probably recognize them already. It did. It did show the default permalink /?p=1234 instead of the selected permalink. I’m sure your answers would help a lot of others on here too. Are you adding support for Easy Video Player, it is not a WordPress plugin. Its an actual video script. Do you have a link to it for me? Thank-you for all of the work on this plugin! Keep up the great work and I have no issues with paying for it. Business is business and you need to make a decent living for your efforts. In the future I don’t think to many people would have issues with paying an annual fee for a plugin such as this! How long does it take until the results in the SERPS change to show the video snippet? Just bought the plugin, by the way. Looking forward to more traffic. usually takes about a week to two weeks, but it can be quicker, just depends on reindexation, and then a bit of time it seems to take for Google to parse it. There’s no “scientific proof” that it helps ranking, but there is circumstantial evidence to that point. Which is about as much evidence as you’ll get for anything related to Google rankings. As for re-indexation: I’d just let it happen. I’ll update with my results as they occur. So each video would need it’s own separate WordPress page for this plugin to do it’s job? You can’t have lots of videos in blog posts going down one page? It’s not a complaint, I just want to clarify this is correct? Correct. The XML Video Sitemap standard allows for only one video per URL. I think it’s a nice work for all of you & it must be help all webmaster, Thanks a lot…. I didn’t see this coming. I was thinking you’ll release a WordPress SEO premium version of the plugin. I would have bought that taking into account your expertise in WordPress SEO. What amaze me is that people say the Video SEO Plugin is pricey. It could look pricey as a Corvette looks pricey compared with a Mazda but when you are in the making-money-online business SEO is very important. And, as far as I know, you provide the best WordPress Search Engine Optimization plugin on the market (and you don’t charge a dime for it). Taken this into account I think the Video SEO is worth every cent. Keep up the great work, and know that there are a lot of folks out here who love everything you do. I run the Genesis Framework and use the Genesis SEO toll. I know it states above that to use this Video SEO Tool you need to run your SEO plugin. Is there any way we can run it just with the Genesis SEO tool? No sorry, that’s not possible. My SEO plugin has an XML Sitemap framework and OpenGraph functionality that this plugin needs. Switching from Genesis SEO is very simple though, there’s a great plugin called SEO Data Transporter that allows you to bring all your old data back and forth. Howdy Joost! This is pretty awesome and think I’ll make the leap and purchase. Recently, I have really jumped into video for client home tours and use YouTube as preferred video host.. Would the current embedded YouTube code have to be updated or would the plugin already recognized the embedded code and do its thing? Also, are there any theme restrictions or conflicts (not sure I am saying that correctly) or is just a plug and play plugin? Does it work for self hosted videos using the JW Player plugin? Should I pay first and then ask a question to get answer? I added support for JW Player in the last release. For now it only works with mediaid= type embeds, but the other one will be added soon if there is sufficient demand for it. That is my current settings for over 3000 videos. If you don’t mind me asking. As far as the Jwplayer. Is the video description pulled from the media or page/post? Also Video tags, Are they supported? Those pulled from page/post meta keywords? Of course not, did I miss your question? I use the JW Plugin to embed my videos. I am also looking for support on self hosted videos with the jwplayer. Jwplayer is one of the most popular players out there and finding a plugin that supports self hosted videos is next to null. It is very aggravating. Haven’t added support for that yet, will put it on the list! Does your plugin work for self-hosted videos? Yes! Though we might have to work on whether it recognizes your embed method. What IS your embed method? Which plugin do you use? I’m currently a YouTube partner and am about to start up a blog. Naturally, I would want to keep everything consolidated to YouTube. However, I was wondering if there was no way to find a permanent solution to the YouTube workaround, would this work for self-supported video players i.e LongTail? A lot of my YouTube videos already show up on the front page of Google, I would just like to add a blog to push them even higher up in the ranking. YouTube recently did announce that you could connect your account to a website, so I’m wondering if that might have any bearing on future SEO also. Well I’ll definitely be around! I can’t find the article anywhere, but I’m pretty sure ReelSEO had an article that described a complex workaround that allowed your YouTube videos to display in Google search, but then once clicked, took you to the website where the YouTube video was embedded (this would only work with the connected YouTube website) The best of both worlds! I’ll let you know if I ever locate it. 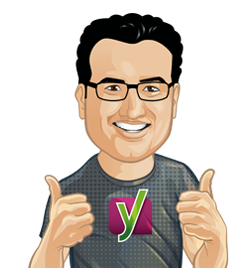 Yoast, you just keep on a rockin’. I’m interested in picking this up, but I do have one question before I pull the trigger. I’m currently using SmartYouTube Pro, which requires that videos be tagged with “httpvh://” in front. Would your plugin require me to change all the links to http://? Given that I have thousands of posts, many of which have videos, I wouldn’t want to go back ground and adjust all the links. I’ve been waiting for this release for months! On a given page I have more than 1 video, generally 2 or 3. Is there a way to choose which video will be submitted to be included in the SERPs? Ehm, for now, the answer is yes, by putting the one you want in the SERPs first :D might become more sophisticated later. 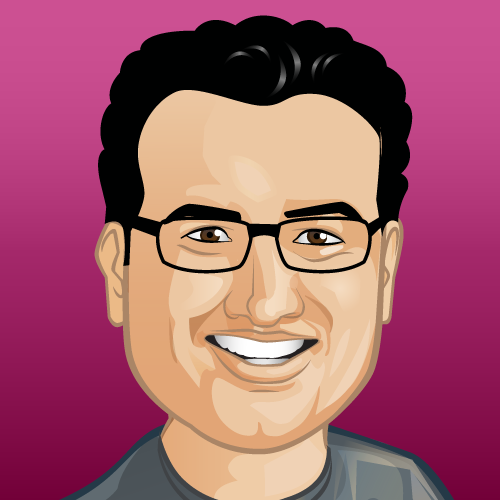 I believe the plugin is gonna be fantastic.. Will try that out soon and give u the feedback.. It sounds awesome. Does it work for video’s in posts or blogs only or for the entire site? Please see our website to check. Because if so we will definitely buy it because it worth the money! We have waiting so long for something like this because none of the other video seo plugins are working. no, your theme, though it looks nice, is about as SEO unfriendly as they get. You’d need a page for each video. Will this work for self-hosted videos using a tool like Easy Video Player? Not yet, but I just had a quick look, I assume you mean this plugin: http://wordpress.org/extend/plugins/easyvideoplayer/ ? If so I can easily add support for that. Ah cool stuff. Will consider it when the need for such a plugin is there. As for the business model: sure, we understand. It is a lot of work to support plugins. Good luck! I love the core SEO plugin and I hope I’ll have the chance to use the Video SEO also. I wish you lots of sales! I will very much appreciate-and many others for sure- if you will find a bit of time to answer some of the issues that are written on the forum. In the recent past just about 10% were resolved. Sorry for the off topic but could you please tell me if image SEO is out of the box integrated in the core SEO plugin as in the sitemap I see just posts & pages. Thank you Joost, looks like another awesome pioneering job from you! Do I get this right that the 89$ price tag will give us basically an unlimited site license for all sites that we maintain? Great! I love your products and this plugin will come handy. Otherwise cudos for your great SEO plugins! it seems your order is still payment pending and I can’t find a payment from you in PayPal, could you email me your payment receipt? You might have used another email for PayPal than for the order? Thanks man :) Will promote you on my social pages. I had heard that you are offering Video SEO plugin at no charge to people that have purchased a site review from you in the past. Is that true? No, sorry, that’s not true. It’s true about my tag optimization tool but not about this plugin. I’ve been looking forward to this plugin since you first mentioned it a long time ago. So, if I buy the tag optimization tool, I can get the video SEO plugin for free — or is it buy the video SEO plugin and get the tag optimization tool for free? LOL! Wasn’t trying to pull a fast one, just misread first comment — but would have been cool. Either way, still going to buy the plugin. will this work for springboard videos on a wordpress website? If you mean http://www.springboardvideo.com/, then, no, sorry. If they have a public API I might be able to add support but I don’t think I see one? i have purchased and installed. the plugin is setup. which is 404 not found. i tried this one: http://qurancomputer.com/blog/index.php/video-sitemap.xml and submitted this to webmaster on google. but they said there is some error in it. now i have published about 3 articals with videos. it show the video. but there is no snippet in post editor. the sitemap is also empty. please drop me an email (just respond to your purchase email) with the details of the post it’s not fetching. All issues are fixed. sitemap is displaying content correctly. and webmaster tools on google shows no error. Videos are indexed properly. the only issue is it’s not indexing and not showing youtube videos. Vimeo videos are displayed well in sitemap. i will try first my self to fix it. else i will shoot an email to you. The 89 license, can i use that on my clients sites or just my own sites? On your clients sites too, if you’re the one maintaining them. We will only accept support requests from 1 person for each serial. i ve suggest your SEO plugin to all my friends, (to my enemies i say “use all in one seo” :-) and i m really thinking of getting this. I guess the 89 $ is the right price for such a plug in, but it s kinda expensive compared to others…. Generally, $89 is cheap compared to the other costs which are involved in making a video. At a minimum, the time spent by the people making the video is worth much more than $89 — and the plugin can be used for more than one video, so that expense per video will get smaller for each video which it is used on. Is this plugin only working on WordPress sites? And what is its main function, tagging the video or making descriptions for search engines? it only works on WordPress, yes. And it’ll make the search engines recognize the video on the page by using all the methods described above and on the plugin page itself, so they can show a video snippet for the video. listed the incorrect email on prior comment…any way to fix that? I know that this doesn’t apply here, but I couldn’t find another place to post question about importing to WordPress SEO from all in one. It worked fine, except the sitemap doesn’t function correctly. Can you assist? We have cdn enable and use MaxCDN, when clicking You can find your XML Sitemap here: XML Sitemappage it returns a cdn error, even if I change the sitemap file name manually in ftp.